For other places with similar names, see Rumman (disambiguation). 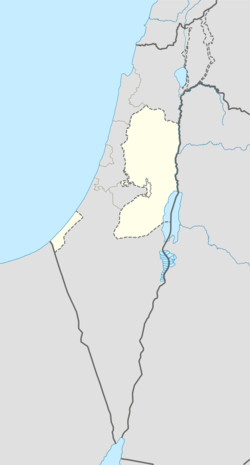 Rammun (Arabic: رمّون‎) is a Palestinian town in the Ramallah and al-Bireh Governorate in the central West Bank, located twelve kilometers east of Ramallah and three kilometers south of Taybeh. Other nearby towns include Deir Dibwan to the southwest, Beitin to the east and Ein Yabrud to the northeast. Sherds from Iron Age I, Hellenistic, Roman, Byzantine, Crusader/Ayyubid and Mamluk eras have been found. Mosaics and ancient cisterns have been found. Van der Velde (in 1854) assumed that Rammun was the place mentioned in the Bible as Rimmon, Sela Rimmon. The Rock of Rimmon was where the Benjamites fled (Judges 20:45, 47; 21:13), and where they maintained themselves for four months after the battle at Gibeah. It also is suggested to be the town of Rimmon mentioned in the Map of Madaba, located fifteen miles north of Jerusalem, between Bethel and Jericho. There are Byzantine, Crusader, Ayyubid, Mamluk and Ottoman remains in the town including a mosaic in the town's mosque, an ancient burial cave and sanitary pit. The burial cave dates back to Byzantine times and contained pottery lamps, sandals and cross-shaped medallions. Sherds from the early Ottoman era have been also found. In 1596, Rammun appeared in Ottoman tax registers as being in the Nahiya of Quds of the Liwa of Quds, with a population of 39 Muslim households. The villagers paid a fixed tax rate of 33,3% on various agricultural products, including wheat, barley, olives, and vines or fruit trees; a total of 5,700 akçe. In 1838, Rummon was noted as a Muslim village in the District of Beni Salim, east of Jerusalem. The French explorer Victor Guérin first visited the village in the 1863, and described it as a village with five hundred inhabitants. He further noted that in the limestone mountain around it were drilled numerous caves, many of which were still used by shepherds and their flocks. Ancient cisterns dug into the rock were also found. The houses were partly built with antique materials, including some large blocks cut ashlars. An Ottoman village list of about 1870 showed that Rammun had 81 houses and a population of 334, though the population count included men only. The village was described as being in the Beni Salim area. In the 1882, the Palestine Exploration Fund's Survey of Western Palestine described Rammun as "A village of moderate size, with cisterns and caves, evidently an ancient site. On the north-east is a deep rockcut tank, and south of it a rock-cut tomb. The houses stand on a barren conical point of rock north of a rough valley, and are built in terraces. The site is peculiar, being at the end of a plateau of arable soil extending southwards from Taiyibeh. The view is extensive towards the south-east, but bounded by the Taiyibeh range on the north. There are numerous caves in the rocky sides of the hill called Ashkaf Jiljal, as well as further west (Ashkaf Daud)." In 1896 the population of Rammun was estimated to be about 705 persons. 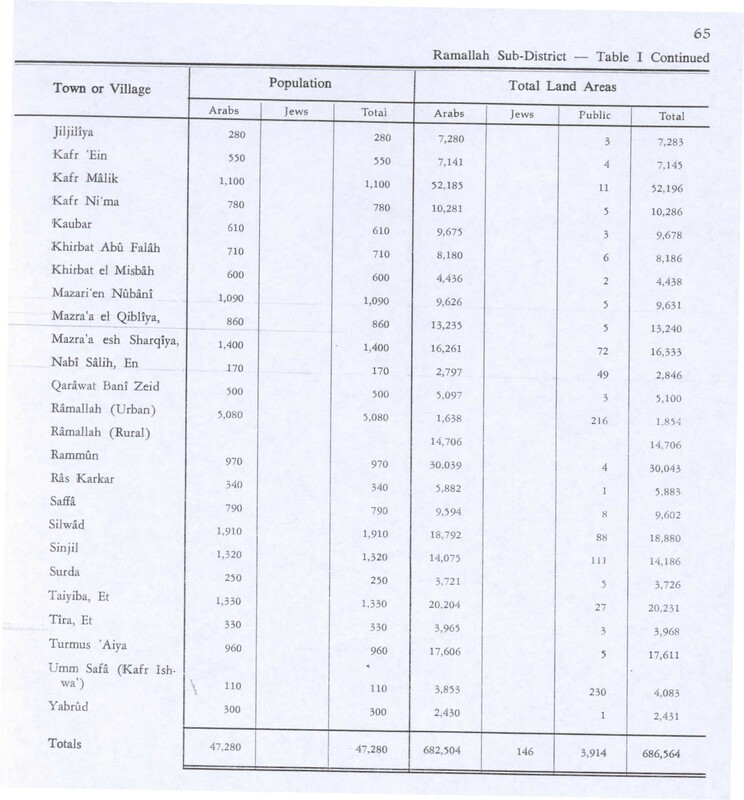 In the 1922 census of Palestine conducted by the British Mandate authorities, Rammun had a population of 703, all Muslims, while in the 1931 census, the village had 153 occupied houses and a population of 744, still all Muslims. 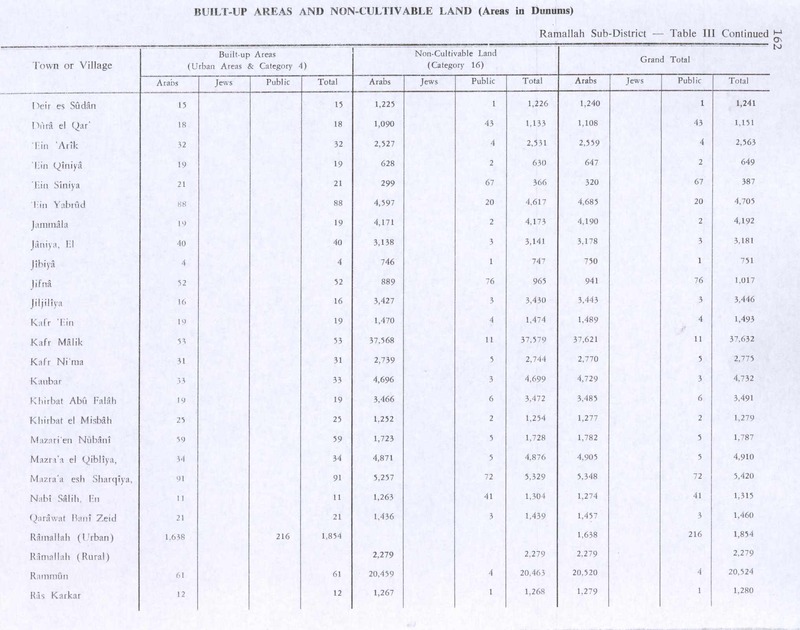 In the 1945 statistics the population was 970 Muslims, while the total land area was 30,043 dunams, according to an official land and population survey. 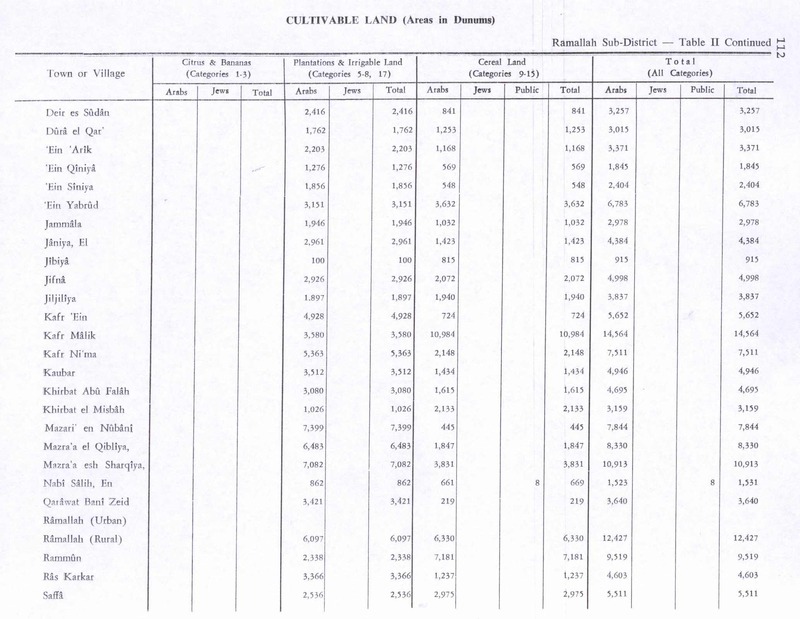 Of this, 2,338 were allocated for plantations and irrigable land, 7,181 for cereals, while 61 dunams were classified as built-up areas. In the wake of the 1948 Arab–Israeli War, and after the 1949 Armistice Agreements, Rammun came under Jordanian rule. In 1961, the population of Rammun was 1,186 persons. 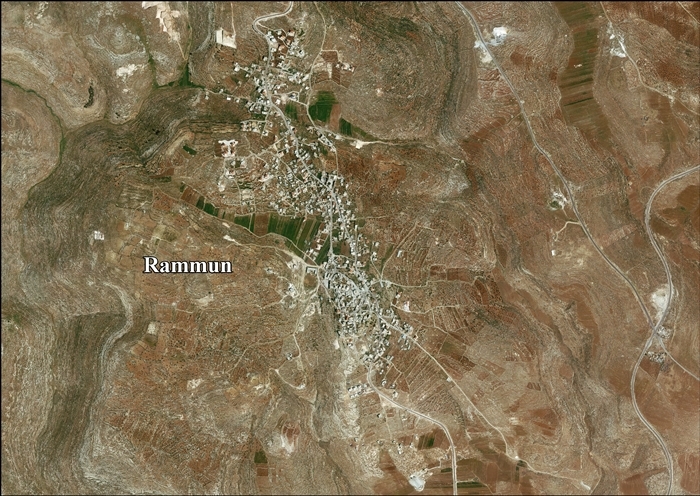 After the Six-Day War in 1967, Rammun has been under Israeli occupation. By 2012, about 3000 villagers remain in Rammun, while there are about 7000 in the Palestinian diaspora, chiefly in the United States. Many in the diasphora have second homes in the village. These homes have been troubled by burglaries, therefore some owners have organised night-watches. In March 2012, a Duvdevan unit in civilian clothing entered Rammun, reportedly on a night-time training exercise were mistaken for burglars by three brothers from the Shawakhah family. All three brothers were shot multiple times in the confrontation that followed that also involved uniformed IDF soldiers, and Rashad Shawakhah died of his wounds several days later in hospital. Israeli Army Radio initially reported that terrorists had attacked an IDF soldier during a military operation. An IDF soldier who kicked one of the wounded handcuffed men after the shooting was reportedly dismissed shortly after the incident. B'Tselem, who have stated that the undercover unit's operational method and rules of engagement violate international law, requested the army's Criminal Investigations Division to examine the incident. The military advocate general opened an investigation in May 2012. ^ a b c A Byzantine Tomb at the Village of Rammun Taha, Hamada. Palestinian Department of Antiquities. ^ a b c d e f Gideon Levy; Alex Levac (4 May 2012). "In a Palestinian village plagued by crime, a thin line runs between burglars and IDF soldiers". Haaretz. ^ a b c d e "Soldiers in civilian clothing shot at Palestinians who, thinking they were being robbed, sought to defend their property; one Palestinian killed". B'Tselem. 24 April 2012. ^ a b "Stories Differ After Israeli Soldiers Kill Palestinian". NPR. 13 June 2012. ^ Yoav Zitun (18 April 2012). "Soldier dismissed after kicking bound Palestinian". Ynet. ^ Gurvitz, Yossi (2012-04-18). "IDF Soldiers Enter Village, Kill Palestinian in Drill Gone Awry". +972 Magazine. Noam Sheizaf. Retrieved 2012-04-18. Velde, van de, C.W.M. (1854). Narrative of a journey through Syria and Palestine in 1851 and 1852. 2. William Blackwood and son. This page was last edited on 8 January 2019, at 23:55 (UTC).